Skill and compassion go hand in hand when providing exceptional patient care. As dental professionals, we stay up-to-date on the latest advancements in dentistry in order to provide the most current treatment options for our patients. As doctors, we recognize that our patients are unique individuals who have placed a great deal of trust in our team. That is just one reason why we value each and every patient relationship. We appreciate the time you’ve taken to visit this site and find out more about this dental practice, our team, and the many services we can provide to help you achieve optimum oral health. To learn more about a specific doctor at Oroville Gentle Dentistry please read below. 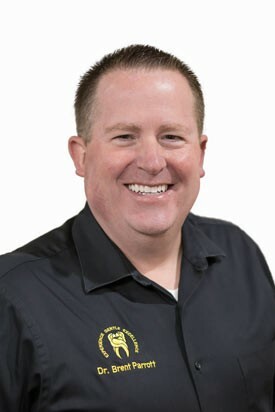 Dr. Brent E Parrott is the founder and CEO of Paradise and Oroville Gentle Dentistry, where his focus is to positively impact lives by improving the world one smile at time. Dr. Parrott received his dental degree from Creighton University, and continues to pursue training in all aspects of dentistry. Two of his valued mentors are Gordon Christianson and Raymond Bertolotti. With over 13,000 patients hailing from 5 countries, and 20 US states he has been recognized as the best of the Ridge for 4 years running. Dr. Parrott has been a guest speaker for Midwestern’s Business Club lunch and learn program, and is an avid dental educator at local elementary schools. He is a member of DOCS (sedation dentistry) and a member of the ADA, and CDA programs. He has donated over $150,000 in free dentistry to Veteran’s, participated in free Dentistry, “Dentistry from the Heart”, donated supplies, talent and training to doctors and patients in the Dominican Republic and Guatemala. He is an avid supporter of many high school and community sports and music programs. In his youth, Dr. Parrott enjoyed playing basketball, baseball, racquetball, swimming, and the sousaphone. He served a 2 year mission to Spain and uses his fluency in Spanish to serve the Spanish speaking community. Dr. Parrott is the founder of Assist to Succeed, Butte County, and has donated food and supplies to local homeless shelters. He is an Eagle Scout and continues to serve in his church and community. He and his wife Alexis are the parents of 8 children, 6 grandchildren, and 2 grand-puppies. 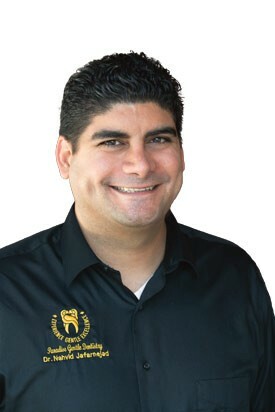 Dr. Jafarnejad graduated from the Western University of Health Sciences College of Dental Medicine in Southern California, with a Doctor of Medicine in Dentistry degree. He is a member of several professional organizations, including the American Dental Association California Dental Association, and Academy of General Dentistry. He is an active believer in volunteering and has previous volunteered with Global Medical & Dental Brigades in Panama. Dr. Jafarnejad is committed to patients’ well-being, comfort, oral health, and quality of life. He treats his patients like family – with kindness, respect, trust, and appreciation. 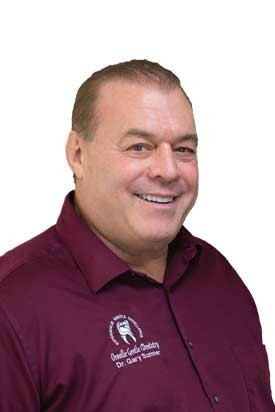 He believes that Oroville Gentle Dentistry is the best because our patients experience genuinely gentle dentistry in how we treat patients and make their comfort our priority. Outside of dentistry Dr. Jafarnejad spends time with his wife, son, and their dog (Riley), he loves the outdoors, going to the gym, basketball, and trying new foods. Dr. Phan obtained his Doctor of Dental Medicine degree from McGill University in Montreal, Canada. Following his graduation, he pursued further training by completing a general practice residency program at the V.A. San Diego Healthcare System. 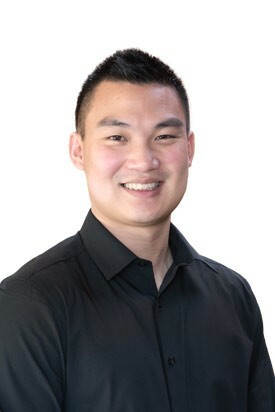 During his residency, Dr. Phan served the veterans with honesty, compassion, and respect and derived tremendous satisfaction from seeing his patients happy with their confident smiles. Having grown up in Montreal, Dr. Phan is excited for a new chapter in Butte County. He looks forward to meeting his patients with a warm welcome at the Oroville Gentle Dentistry. When he's not practicing dentistry, Dr. Phan enjoys volleyball and staying active at the gym. 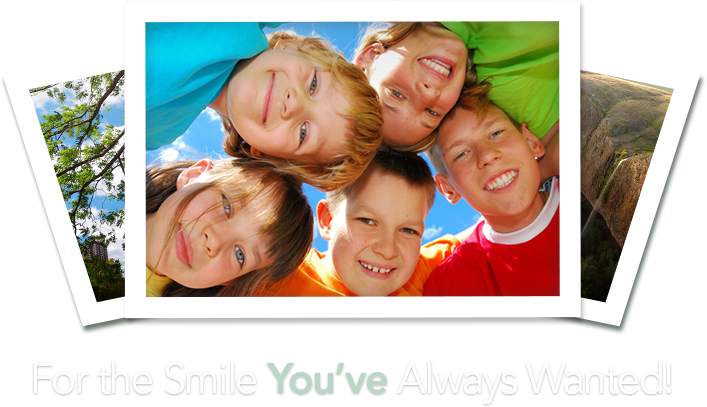 Dr. Gary Sumner has been providing outstanding, gentle dental care since 1998. He is a board-certified oral sedation dentist and a member of the Dental Organization for Conscious Sedation (DOCS). He graduated from the Medical College of Virginia and continued his education by participating in several courses, including cosmetic dentistry, root canal therapy and all aspects of general dentistry. Dr. Sumner is a member of many prestigious organizations including the CDA, ADA, Butte-Sierra Dental Society, and the Dental Organization for Conscious Sedation. In his spare time, he enjoys coaching wrestling, weightlifting, and relishes the beautiful mountains unique to Butte County.